It may not feel like it outside, but the summer of 2019 is just around the corner. And there’s no better time than now to plan your summer beach escape. After all, shopping for beachfront villas and resorts in seaside destinations will make you feel much better about the chilly temperatures of early spring. Below, you’ll find our 11 favorite beach destinations for 2019, including iconic getaway spots on some that often fall under the radar. 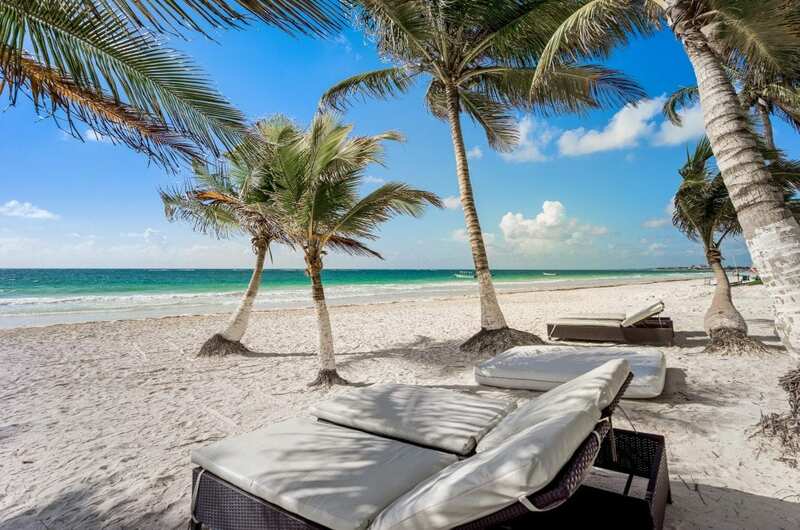 If you’re looking for a beautiful, exotic destination for complete resort relaxation, then Cancun, Mexico, may be the perfect location for you. 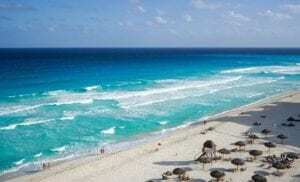 Cancun has been one of the world’s most popular places for beachfront holiday vacations for decades, and it’s easy to see why. The year-round sun, the bustling beaches, turquoise water, exotic food, and the superb temperatures make this the perfect destination for your summer getaway. Clear blue waters, unhindered sunshine and amazing boat trips, Chania, a city on the northwest coast of Crete, is a top summer destination spot, and 2019 is the year for you to visit. Whether you’re in search of sightseeing, adventure or just sunbathing, Chania has something to offer visitors of all ages and interests. The 14th-century Venetian lighthouse and harbor is a must see when visiting the historical Greek city. Chania is also home to a number of glass-bottom boats ready to take visitors on tours to watch the majestic turtles and fish as well as the sunken World War II fighter jets that crashed in Cretan waters. 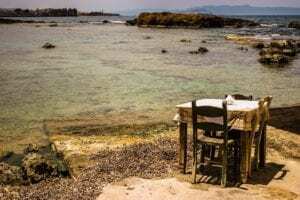 Whatever you decide to do in Crete, you’ll realize that Greece’s largest island, and Chania specifically, is an ideal summer holiday destination. Tahiti is a bucket list destination, and although it is the largest island in French Polynesia, it truly is a tropical paradise. From the deep blue lagoons to the star-filled night sky, Tahiti is one of the best summer destinations in the world. The authentic cultural events that happen every year in Tahiti make the island an excellent destination to experience the culture and diversity of the South Pacific. The postcard-worthy white, beaches of Punta Cana are sure to make the summer of 2019 one to remember. If you’re looking for a relaxing, luxurious, sun-filled holiday, then Punta Cana is the ideal place for you. It is home to what are often ranked among the best beaches on the planet as well as an abundance of award-winning resorts. Some of the activities available in the coastal vacation town include windsurfing, scuba diving, kayaking, speed boating, shopping and so much more. The marine area surrounding the city was declared a marine park in 2012, making it a perfect place for viewing sea life below the sea’s surface. Florida has some of the most beautiful beaches in the world with black, white, and natural sand all mixed together in its clear blue waters. This southern state in the U.S., also offers isolated private islands for visitors to relax and enjoy if they’re truly looking to escape all of the stresses of life. The weather is ideal in all seasons, but summer is when Florida truly comes to life for locals and vacationers alike. You don’t have to travel all the way around the world to reach tropical paradise. Australia’s Gold Coast is one of the most beautiful beach destinations in the world. If you’re searching for sun-filled days, sand, and world-class entertainment, then the Gold Coast should be on the top of your summer destination list. Because of the Gold Coast Commonwealth games last year, the city became an even more perfect place to visit due to the rapid development in the area. The pubs and restaurants are ideal for watching the sun go down and partying with the locals after a long day in the sun and sea. Marmaris is known to have just a bit of everything from its shingle beaches to its long white stretches of sand, making it an ideal 2019 summer destination. Marmaris’ valleys of Forest Mountains and its crystal blue waters are hotspots for water sports, especially, diving and sailing. Shopping in Marmaris is an adventure in itself. The town center has shops upon shops for finding just about anything your heart can desire. Turkey has always been an infamous Europe shopping destination, and Marmaris lives up to the hype. Additionally, Marmaris offers an undeniably rich history. Nimera Cave and Marmaris castle are the remnants of an ancient Turkish culture, one of the few artifacts left after the 1957 earthquakes that almost entirely ruined the city. The nightlife in Marmaris is also one of the liveliest in all of Turkey, with plenty of watering holes and live music venues to complete a day of beachgoing and sightseeing. If you love relaxing by unhindered views of the sand and sea, the Seychelles are an ideal place to call home this summer. Located in the warm and crystal-clear waters of the Indian Ocean, this archipelago of 115 islands will undoubtedly take your breath away. The ocean is perfect for diving as well as swimming and snorkeling to observe the countless types of fish and coral that thrive beneath the sea. And those in your group that aren’t as enamored by the sea will enjoy hiking in the nearby dense forests. The ideal weather and unbeatable scenery are just a couple of reasons why the Seychelles have been a bucket-list destination for decades. Check this locale off your list this summer. The Bahamas is an excellent place for anyone who likes unwinding and resting at soft, beautiful golden beaches – and who doesn’t? This tranquil island, known for its laid-back vibes, is where beach lovers from around the world return year after year for fun-loving island vibes. The sea life here is also extraordinary, making it an ideal destination for snorkeling, diving and other underwater adventures. Côte D’Azur, France, is one of the best summer vacation spots in Europe. Whether it’s the famously lavish Monte Carlo principality or the picture-perfect resort town of Cannes, the long golden shores make you feel like you’re light years away from the hustle and bustle of most European cities. You will undoubtedly love relaxing by the shore and watching the beautiful people that live there pass by. The Maldives archipelago is truly one of the crown jewels of the Indian ocean. Made up of more than 1,000 coral islands and 26 atolls, it’s the perfect place to relax and completely unwind under swaying palm trees. However, the Maldives are also known for some of the world’s greatest adventures, including snorkeling, diving, surfing and more. The islands are ideal for escaping the stresses of daily life and submerging yourself in your natural surroundings. Here, you can just sit back and relax as you watch the world pass by. Treating yourself to a beach vacation this summer is a no-brainer but picking the perfect spot can be difficult. Choose one of the 11 destinations above, and you’re bound to make the summer of 2019 one to remember. HONG KONG - Commencing on November 13, Hong Kong Airlines will officially launch daily flight service to Krabi, Thailand.